Given the huge interest in the Star Wars series of films, and the terrific action sequences that littered George Lucas' classic space opera, the films seem tailor made for arcade conversion, but in reality there have been relatively few officially licensed arcade games released. 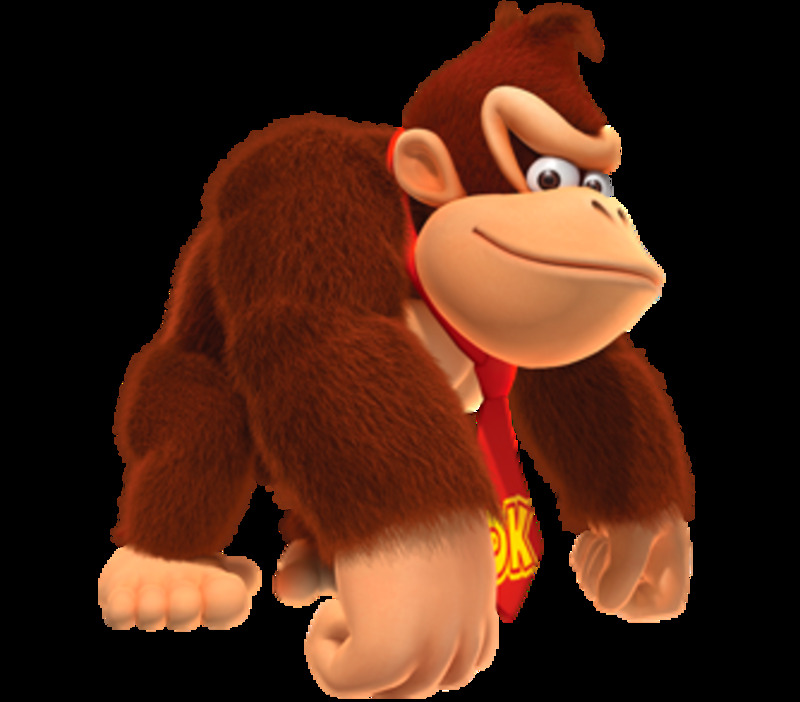 That said, the arcade games that have been released have proved to be some of the most engaging and exciting movie tie-ins, with production values to match the films on which they were based. So in this first article on the Star Wars Video Games, I'm taking a look back over 30 years of arcade titles, their impact on the gaming public, and how you can play them today. The original, and for many gamers the best, Star Wars arcade game was released by Atari in 1983. Based on the plot of the first film, the game places you in the role of Rebel Alliance hero Luke Skywalker, as you fly your X-Wing fighter on a mission to destroy the original Death Star. The first thing you notice about the arcade game is the sound effects, with samples of dialogue from the film being blasted out over the an electronic version of John William's Star Wars theme tune. The cabinet itself is a work of art, with detailed graphics and a highly bespoke screen surround, as well as an authentic flight yoke complete with fire buttons. 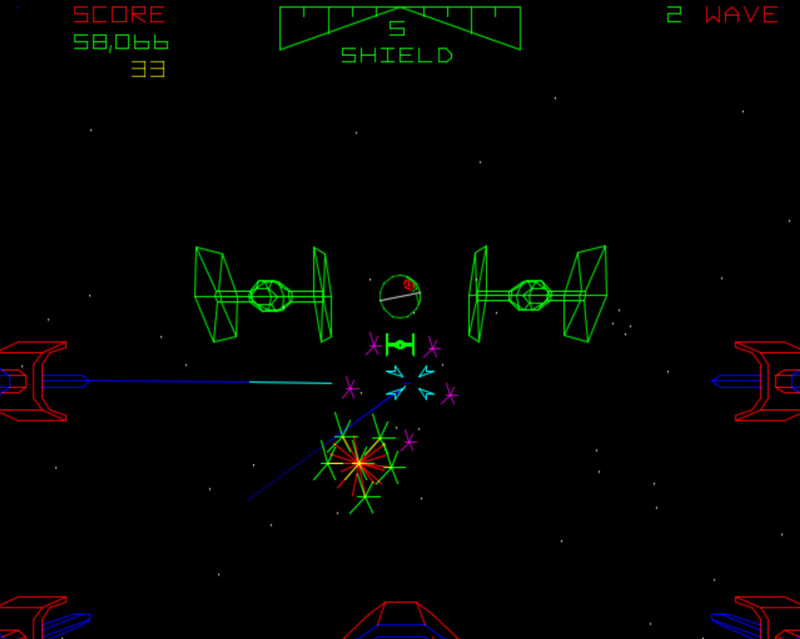 Using Vector graphics first seen on the classic Asteroids arcade game, the Star Wars arcade game recreated many of the scenes from the finale of Star Wars Episode 4 : A New Hope, from aerial combat with Imperial Tie fighters to the Death Star trench run. Armed with a limited number of shields, you must first pilot your X-Wing past waves of enemy ships, avoiding their missiles whilst trying to destroy them with your on board lasers. In the second wave, you reach the surface of the Death Star, and must avoid the incoming fire from the missile turrets whilst destroying the control towers at the top, as well as dodging the towers themselves. Survive the missile turrets and you are dropped in the Death Star trench, the final wave of the game, where you mission is to survive to the end and fire a missile into the Exhaust port and destroy the Death Star. Along the way you will be attacked by gun emplacements in the sides of the trench, and have obstacles in the form of gantries placed in your path, which must be dodged in order to protect your shields. If you survive to the end of the final wave, you will be treated to perhaps the most memorable scene in arcade gaming, as you escape the orbit of the Death Star just in time to see it explode to the crescendo of the Star Wars soundtrack, and congratulations from your wing man Han Solo. 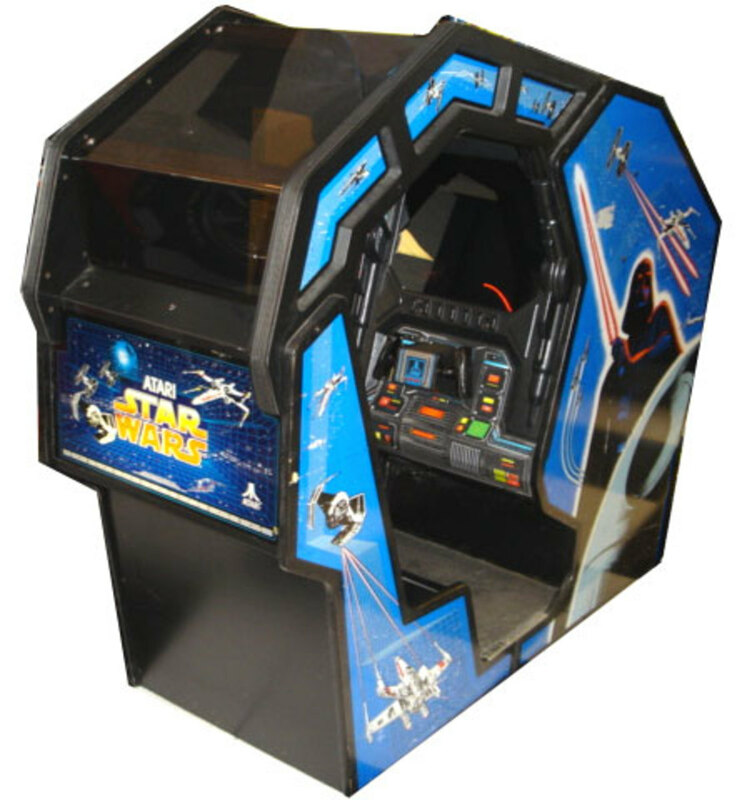 If the standard stand-up version of the Star Wars arcade game were not exciting enough, there was also an inspired special edition cabinet that allowed gamers to actually sit inside the game, like climbing into your very own X-Wing ship. Identical in gameplay, the cabinet featured stereo sound, increasing the feeling of immersion of the game, as well as a smoked glass panel to allow jealous onlookers to view you playing while awaiting their turn. For fans of the series, this was the closest thing to actually being Luke Skywalker. Due to the collectable nature of these fantastic cabinets, with signifanct demand from both gamers and Star Wars fans alike, they now fetch very high prices, with a mint example of either reaching in excess of £2,000 / $3,000 depending on condition. A number of attempts were made to convert the arcade game to home formats, but due to the unique vector graphics, home conversion was a challenge. One of the best versions was the PC DOS version by Broderbund, not available until 1998 it was however very authentic, featuring fast colourful graphics and arcade perfect gameplay. Versions were also available for the Atari home consoles including the 2600 and the 5200, as well as home computers such as the Commodore 64 and Acorn Electron. The game is also available as an Easter Egg within Star Wars : Rogue Squadron III for the Nintendo Gamecube. The next game to receive the arcade treatment by Atari was 1984's Return of the Jedi, featuring action from the 3rd film of the original Star Wars trilogy. 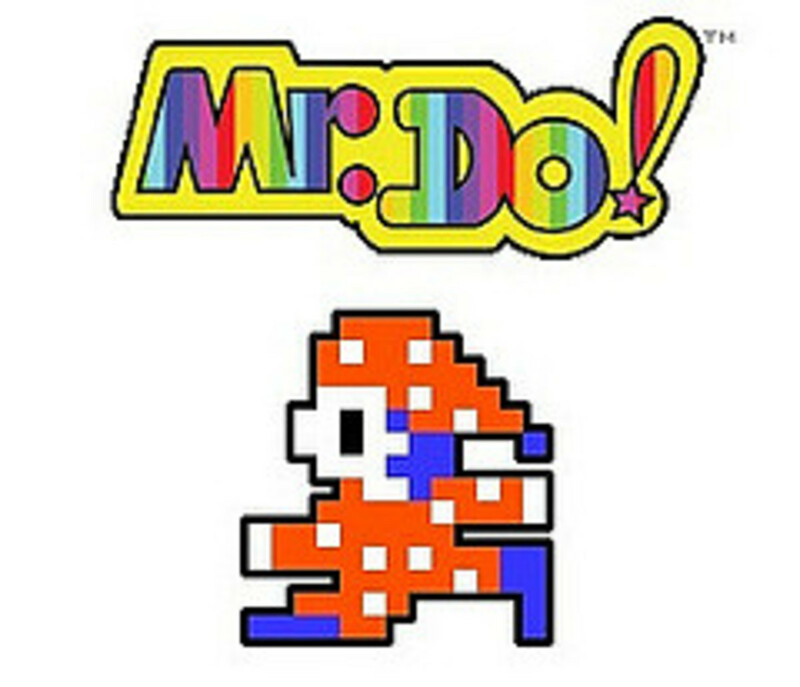 The game mirrored the film in more ways than one, being the least favourite game in the series, one that has not really stood the test of time in the same way as other arcade titles. 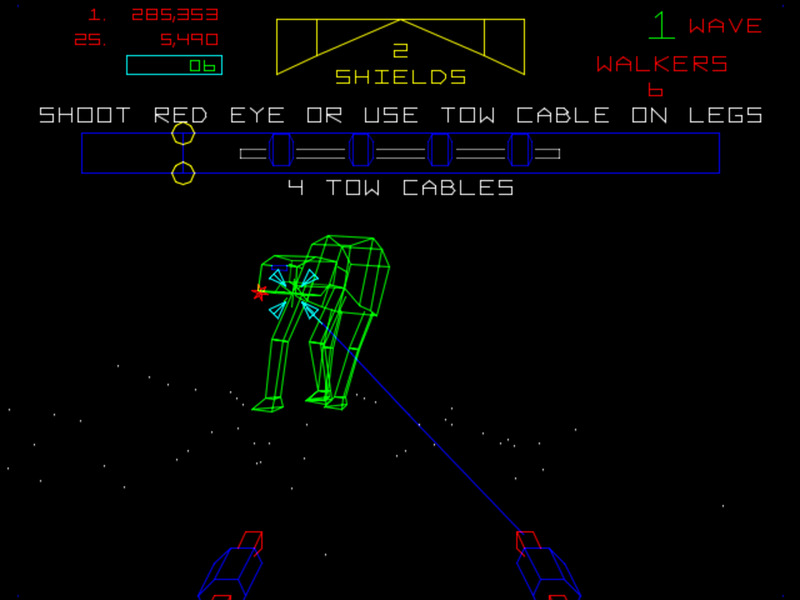 Moving away from Vector graphics to the more standard Raster graphics used in most arcade games, Return of the Jedi featured a pseudo 3D gameplay popularised by the Sega shooter Zaxxon, where the player followed an isometric 3D path diagonally up and to the right of the screen. 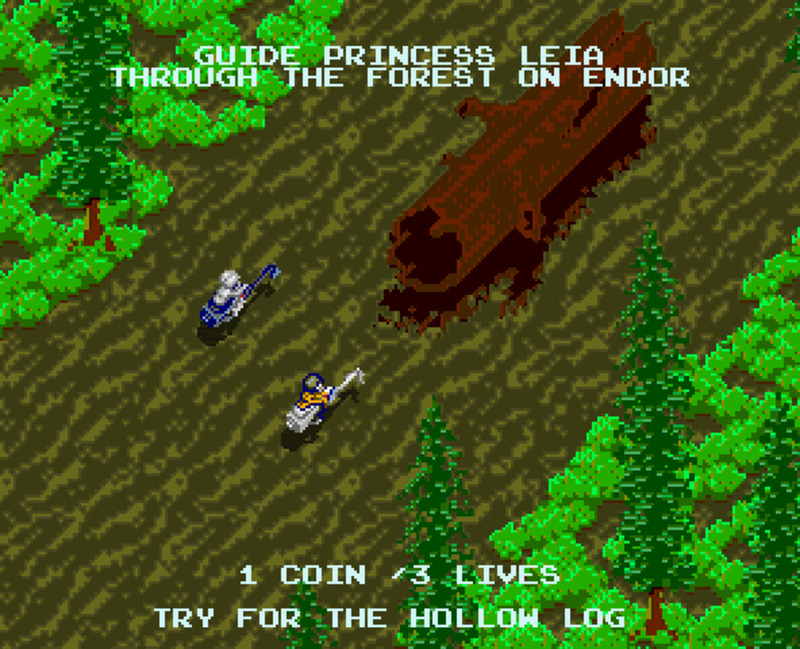 Due to the very specific nature of the isometric gameplay, the action focused on various flying and action sequences from the film, starting with the speeder bike chase set in the Forest of Endor. Dodge the trees and avoid the stormtroopers, and you reach the base where R2D2 and C3PO are waiting for you. The second wave features the Millennium falcon in the second Death Star run, this time with you racing to the core of the Death Star and out again, avoiding Tie Fighters and girders. Once complete, you discover the Death Star explosion animation is not as impressive as the first arcade game, but satisfying nonetheless, given the un-compromising difficulty of the game. Once complete, the waves repeat, but with a new sequence inserted on the surface of Endor, this time with you piloting an AT-ST walker, avoiding rolling logs and destroying enemy vehicles. The action switches back and forth between the surface of Endor and space, where you pilot the Millennium Falcon past the Imperial fleet towards the surface of the Death Star. Domark were charged with porting the game to various home computer formats including the Amstrad CPC, Sinclair ZX Spectrum, Atari ST, Amiga and Commodore 64. The most authentic version was for the Amiga, and well worth hunting down if you can't find an original cabinet. The third arcade release set in the Star Wars universe sees Atari go back in time, to a previous episode in the series as well as to the vector graphics format of the original game. In fact, rather than a brand new cabinet, it was only available as a conversion for the original Star Wars arcade unit, using the same basic hardware but a different software chipset on a new printed circuit board. Arcade owners could convert the cabinet using new side art and banner graphics whilst retaining the original game controls. The gameplay of Empire Strikes Back followed a similar theme to Star Wars, replaced with classic scenes from Episode 5, starting on the surface of the Ice Planet Hoth. In the first wave you pilot the rebel Snowspeeder, playing as trainee Jedi Luke Skywalker as he hunts down and destroys Imperial spy droids which fly across the screen. The second level is the iconic AT-AT Walker scene, where Luke has to bring down the huge camel-like machines by using tow cables that wrap around their legs. Rather than looping around the walkers as Luke Skywalker did in the film to trip them up, you fling a cable like a bolas towards them in order to bring them down. The third level is set in space, where you must escape the planet surface in the Millennium Falcon and destroy the Tie Fighters chasing you, each kill accompanied by a cheer from Chewbacca. The fourth and final level sees the Falcon having to traverse an Asteroid field, the one thing between you and escape from pursuing the Imperial forces. These games are difficult to find today, being conversions of the original Star Wars cabinet, that many people found to be superior and therefore unlikely to update to this later game. If you are luck you might find someone selling the cabinet with both arcade boards, and be in a position to swap between the games. 20 years after the original Star Wars Arcade game was released by Atari, a new version with the same name was launched by Sega - the first in a series by the Japanese gaming giant. Making use of the latest projection TV technology, Sega's version included a huge playing screen and high resolution colour graphics. The game is set entirely in space, where you pilot your X-Wing fighter through 4 distinct stages, including battles with Tie-Fighters, a Star Destroyer and finally the Death Star itself. Keen Star Wars fans will notice that the Death Star is actually the second Death Star featured in Return of the Jedi, not the one from the original Star Wars film. The game was novel in that it allowed 2 players to play simultaneously, one in the role of pilot, who can fly an X-Wing but only shoot at the centre of the screen, and a gunner who has control of a cross-hair that can fire anywhere on the screen. Although the arcade title was rarely seen outside of Japan, it was released as a home conversion and launch title for the Sega 32x console, an add-on for the Sega Megadrive / Genesis. The game received an average reception on launch in 1994, but due to its release title status is fairly common and can be picked up cheaply but you will need the 32x add-on to play it. This final (at time of writing) Star Wars arcade game is the only title to feature action from the 2nd trilogy of films, the focus of this unit being the Pod racing scene from The Phantom Menace. As one of the set pieces from the film, featuring a gladiatorial competition between anti-gravity speeders, it was ripe for conversion to an arcade racer. 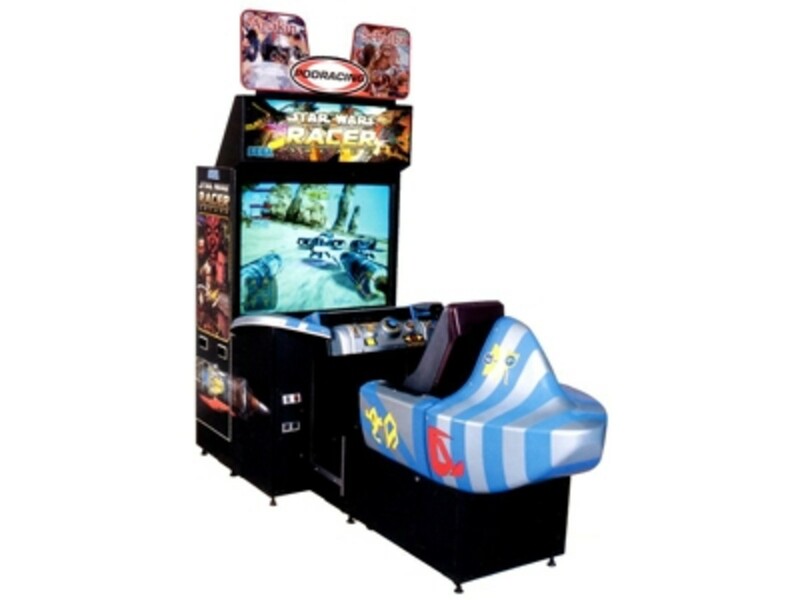 Publisher Sega has produced some great racing games in the past, and Star Wars Racer Arcade makes the most of the source material, with a solid recreation of the scene where young Anakin Skywalker defeats a variety of alien combatants in his homemade pod racer. The cabinet itself was released in 2 sit down formats, featuring a single player (where you play as Anakin) or linked 2 player (playing as Anakin or his nemesis Sebulba) designs, including racing seats and twin engine controls, mirroring the actual Pod racers from the Phantom Menace film. Rather than a joystick or a steering wheel, your pod racer is controlled via twin sticks, which control the boost applied to each of your racer's pods, allowing you to perform controlled turns around tight corners and between narrow gaps in the rocky landscape. There was also a boost button which could be used for brief periods and overtake your competitors. Like many arcade racing games, Star Wars Racer Arcade featured check points which needed to be reached before the timer reaches zero, and an extension is awarded. Hit the walls or other obstacles and your racer would slow in speed, wasting valuable seconds and allowing your competitors to pass you. A distinctive (due to the Star Wars theme) yet ultimately unremarkable title, Star Wars Racer Arcade represents a bit of an anti-climax, and leaves fans awaiting a new game worthy of the name. 25 years after the original Atari Star Wars arcade game, the task of re-imagining the film was passed to Sega in 1998, with the Star Wars Trilogy Arcade cabinet. For this title, which was released before the new Star Wars Trilogy, the story of the first 3 films was told via a mixture video game genre's including on-rails dogfighting, first-person shooting and even hand to hand combat with Darth Vader himself. 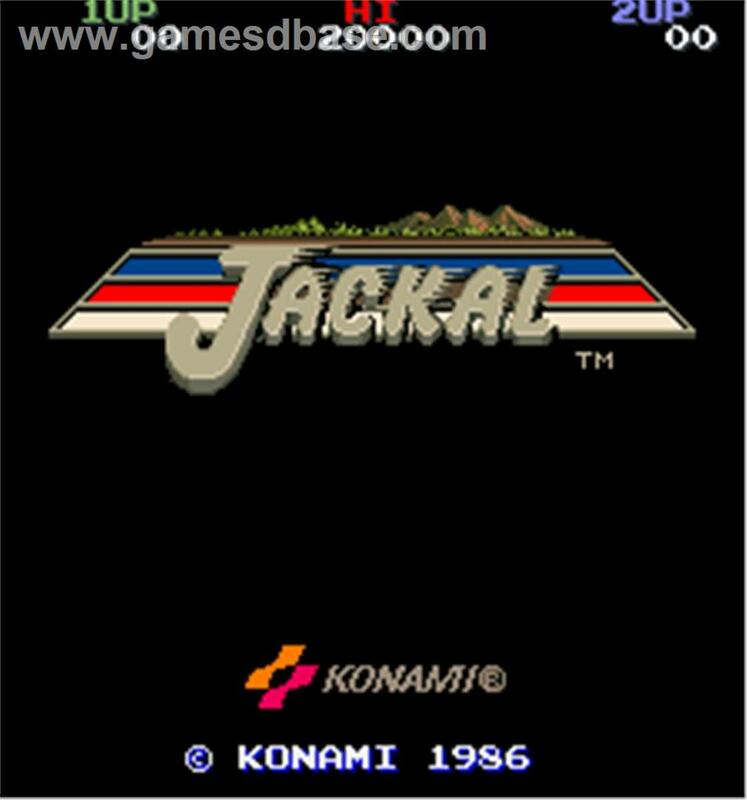 The game was broken into 3 episodes selectable via the start screen, with action interspersed with video cut-scenes and samples from the films. 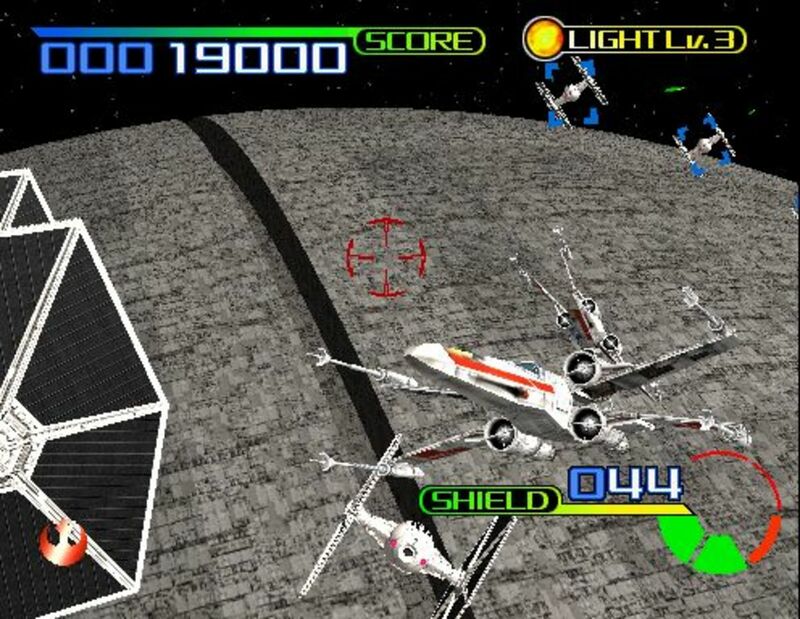 The first mission mirrored the original Star Wars Arcade storyline, with you piloting an X-Wing through space to combat Tie Fighters and Imperial Destroyers, although your flight path is fixed so the focus is on destroying various targets by moving the on-screen cross hairs and firing your lasers. Survive long enough and you will once again be dropped into the Death Star trench, and battle through enemy waves and fixed gun emplacements long enough to fire a torpedo into the exhaust hatch and destroy the Death Star all over again. The 2nd and 3rd waves feature the Hoth battle scene from the Empire Strikes Back, and a final showdown with Darth Vader from the Return of the Jedi, as well as the destruction of the second Death Star. A great game to watch as well as play, Star Wars Trilogy Arcade was a title that required you to keep pumping in credits in order to progress to the end and see the game in all its glory. Of all the Star Wars Arcade Games, this is probably the one that best recreates the spirit of the original film trilogy and definitely one worth seeking out if you haven't played it already. 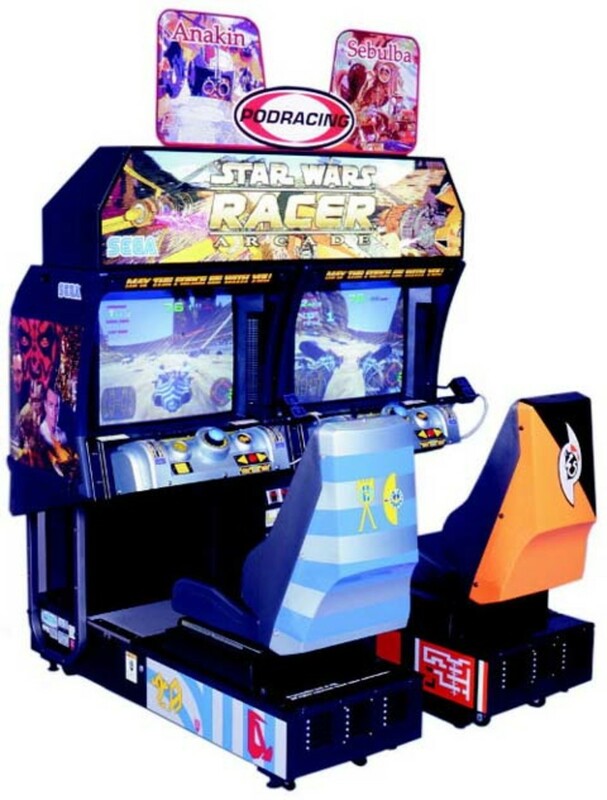 Home versions of the Star Wars Racer Arcade game were published for the Nintendo 64, Game Boy Color handheld and the Sega Dreamcast, with the 64 and Dreamcast versions being the most authentic conversions. What's your favourite Star Wars Arcade Game? The retro TIE resembles how the X Wing appeared on targeting computers in the first movie. Nice. I know a lot of people who would go for the Arcade Cabinet and I personally like the look of the Racer Arcade. Star Wars was such a popular movie series, I have no doubt all of these games are riveting! Polled, voted useful and thank you for the information.